Showing the works of over 200 juried, Vermont artisans in month-long exhibits. The March exhibit features work created by eight artists who received a grant from Frog Hollow in 2017. 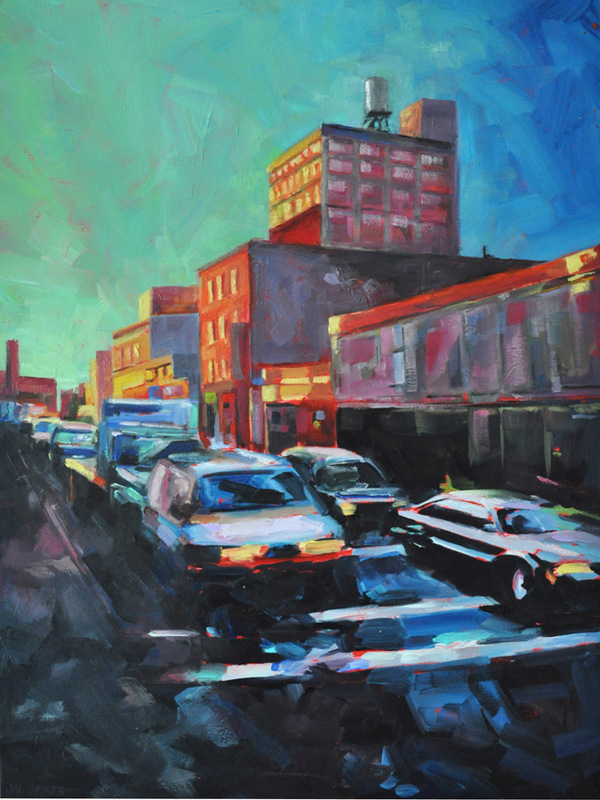 The featured artists are Diane Shullenberger, Eve Jacobs-Carnahan (image), Francesca D’Elia, Holly Walker, Irene Lederer LaCroix, Jane Kirby, Jeremy Ayers, and Jon Black. Their work spans a variety of traditional craft media, including jewelry, clay, and fabric. The grants were awarded to both emerging artists, who are accomplished in the basic techniques of their medium but have yet to establish a professional career in the arts, as well as established artists, to allow them the ability to expand their techniques and explore new ways to aid in developing a new body of work. “Wissler” features the life’s work of Richard Wissler and his mother, Prindle Wissler. 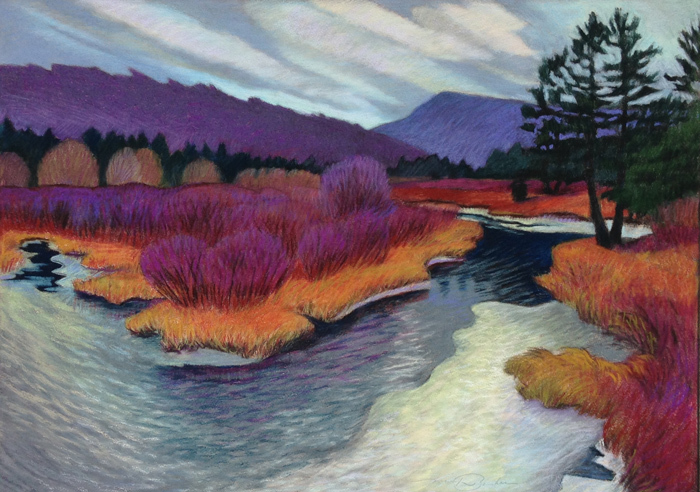 Prindle was an educator and painter who was active from the 1940s until her death in 2012. Richard (image) was the creative mind behind Frog Hollow in 1971. The first resident potter of the facility, Richard’s work went through many phases over the course of his life and includes clay, metal and woodworking. Receptions during First Friday Art. “Off the Wall” features work from over twenty of the Milton Artists’ Guild’s members. 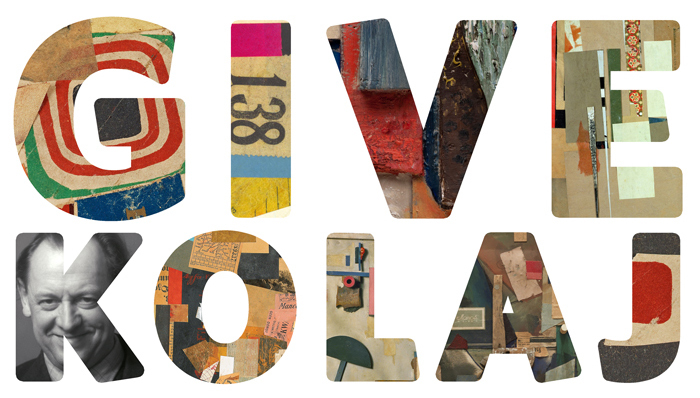 The Milton Artists’ Guild (MAG) is a non-profit 501(C)(3) arts organization with members throughout northwestern Vermont. The MAG was formed in 1988 by Lorinda Henry, Kathleen Redman, and Lorraine Manley in Milton. Their intention was to share their creative endeavors with other artists, promote artistic expression, and encourage each member to value time spent creating. 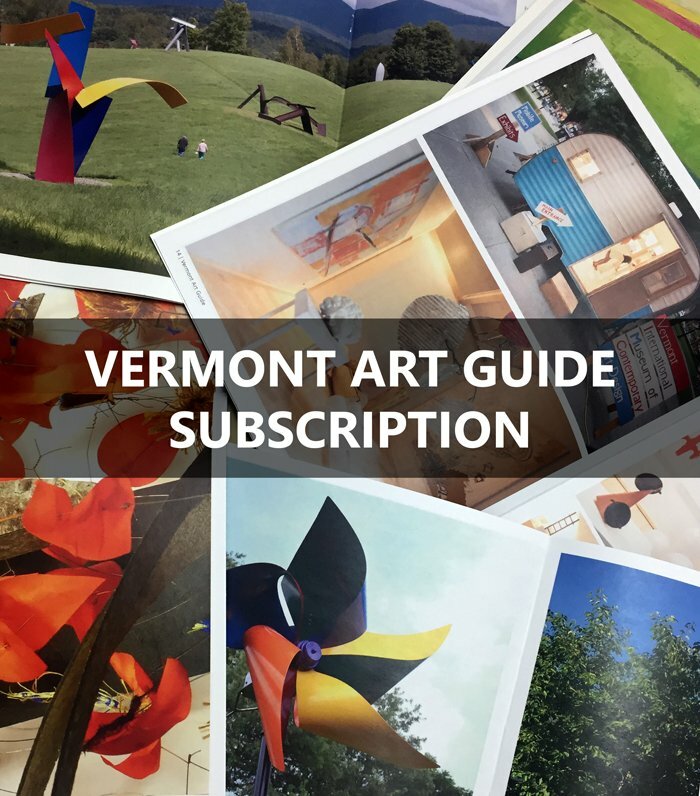 After a lapse in regular meetings, the group was restarted in 2004, at which time the membership expanded greatly as artists from other areas of Vermont joined in. Over the past 10 years, Josh Axelrod has pursued a concept of work exploring depth, focus and interpretation, by way of the “path”. “A Pathway to Somewhere” is a body of traditionally photographed images from all over the world, from Patagonia, Chile to Cuba to right here in Vermont. 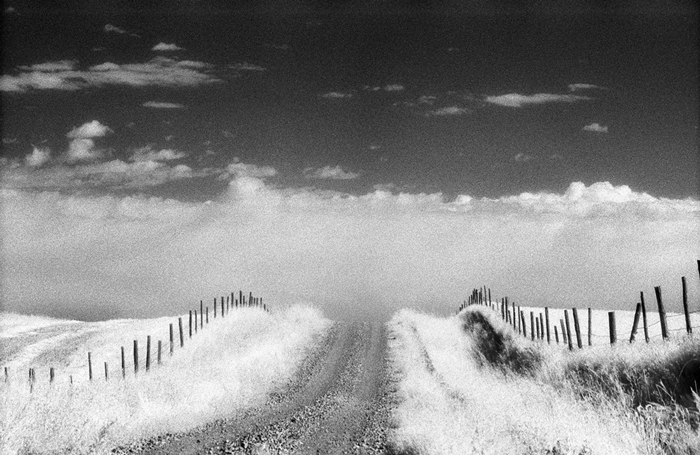 Printed in editions of 50, these black-and-white film photographs are printed by Axelrod using a carbon pigment printing process and assembled using museum grade mats and hand-crafted frames. He builds the frames using antique architectural woods, providing a continuation of aesthetic mood from image to frame. Frog Hollow is honored to work with the WaterWheel Foundation again this July to put together interactive art exhibit about community involvement. Frog Hollow shares with WaterWheel the mission of bringing community together to work as a team for our future. Posting questions on blackboard pedestals in the front of our gallery, the organizations invite community to respond with their insights and thoughts in a month-long interactive display. Tara Goreau, Mural Artist, will use these community writings as her guide and inspiration in the creation of murals on the front wall as she interacts with community members at Frog Hollow, Friday and Saturday evenings from 4-8PM. Frog Hollow’s front wall will, in essence, become Goreau’s temporary palate to create our community vision through Chalk Art. Every week, the mural will be erased and a new one will be recreated based on visitors’ thoughts regarding community needs. On Wednesday evenings throughout July, Frog Hollow artist Jess Polenshek will embellishing temporary panels in the front window, also in response to visitors’ ideas regarding community needs. In June 2017, Wendy James retires from her position as an Art Teacher at Essex High School. With her retirement ends an era at Frog Hollow that was begun by Wendy’s husband, clay sculptor John Brickels. 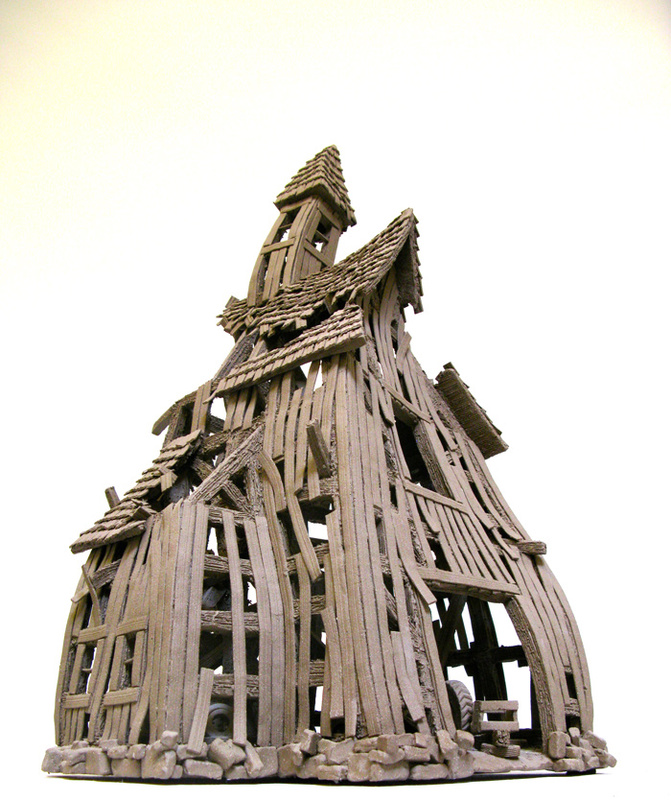 Over thirty years ago, Brickels juried into Frog Hollow with his quirky and much beloved barn and building sculptures. For decades, he has been a draw to Frog Hollow. In 2011, following the group exhibit “Partners” (where local artist couples collaborated on a single piece incorporating both of their media and signature “looks”), James juried into Frog Hollow with her digital photomontage work. For years, the two have been a constant presence within our gallery. Always present at openings, annual meetings and events they are a model for community support and involvement in the arts. With James’ retirement, the two plan to move out of state, closer to their grandchildren. Since Frog Hollow does not allow the exhibition of non-Vermont residents, we will be hosting the farewell exhibit of these talented artists. A catalogue of the exhibition is viewable HERE. 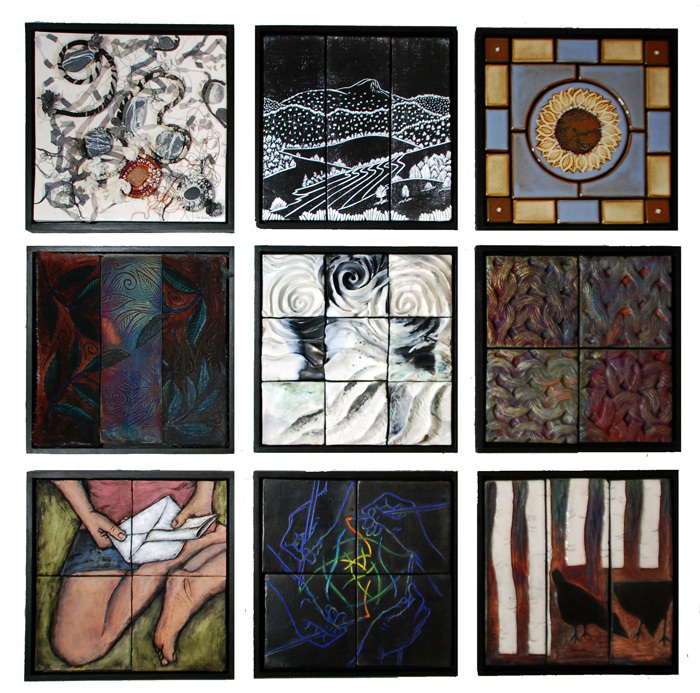 “Nine by Nine” features ceramic tiles highlighting the diversity and power of women in the arts created by Dianne Shullenberger, Daryl Storrs, Ulrike Tessmer, Ellen Spring, Irene Lederer LaCroix, Carol MacDonald, Wendy James, Heidi Broner and Sally Duval. Each artist was provided a 12”x12” clay tile to embellish as a piece of a larger installation. May 2017 marks the only time all nine pieces will be displayed together with each tile being auctioned, via silent auction, throughout the month. The auction proceeds benefit Vermont Works for Women, a non-profit that helps women recognize their potential to excel in work that leads to economic independence. A catalogue of the project is viewable HERE. In addition to the tile display, each artist will have a display of their work in the gallery space. Reception during First Friday Art. “Young Artists” curated by UVM students Kat Dooman and Christina Mignosa introduces Vermont’s new generation of artists. The exhibition features artists age 30 and under who either reside in Vermont permanently, or study at a local university. Both experienced exhibitors and emerging artists are encouraged to apply. 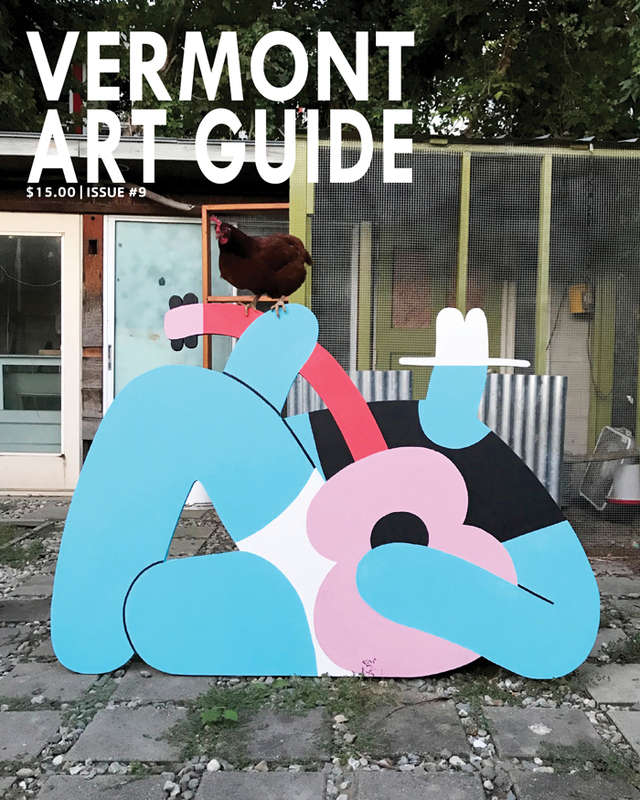 It is our hope that this exhibition will provide exhibitors with the opportunity to display their work to a wider audience and gain exposure within Vermont’s art community. 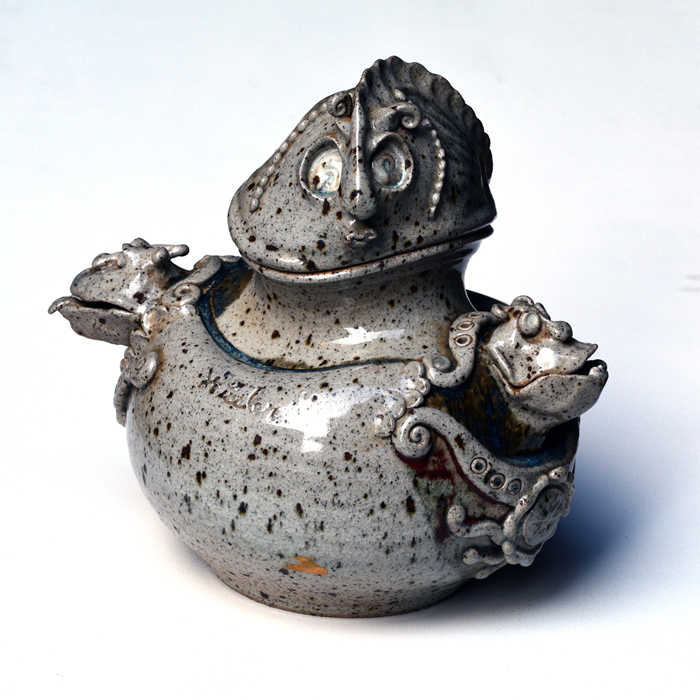 Exhibiting in tandem with the “Young Artists” is the 3rd Annual UVM Pottery Coop Exhibit of Teacher and Student works. With longer days returning and our need and desire to find the light in the darkness, the theme of this year’s show will be “Light”. 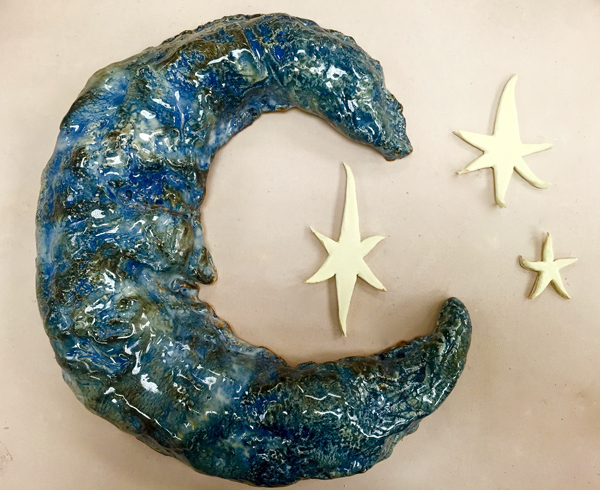 All pieces will have a connection to light as interpreted by the participating artisans. Sculptures, wall pieces, and functional work are displayed as part of the exhibit, including a large variety of mugs by up to 20 different artisans, will be available for purchase. Frog Hollow is proud to nurture and educate young Artists in The State of Vermont and help promote community based Art projects. The UVM Pottery Coop in Living and Learning is a Student and Community-based teaching studio for Beginner-Advanced Potters. Throughout April there will be pottery demonstrations in the front of the gallery. A full schedule of demonstrations in April will be posted on Frog Hollow’s website in coming days. “No cows, no pigs, no houses, no chickens!” was Warren Kimble’s statement regarding his new work being presents at Frog Hollow for the month of March. Known as one of America’s foremost contemporary folk artists, these words may come as a surprise to some. Nationally recognized for his Americana images evoking a simpler and less complicated time featuring exactly the contents he is exiling from his new work, Warren Kimble in recent years has chosen to venture into new artistic horizons, most notably in his explorations into abstract paintings. 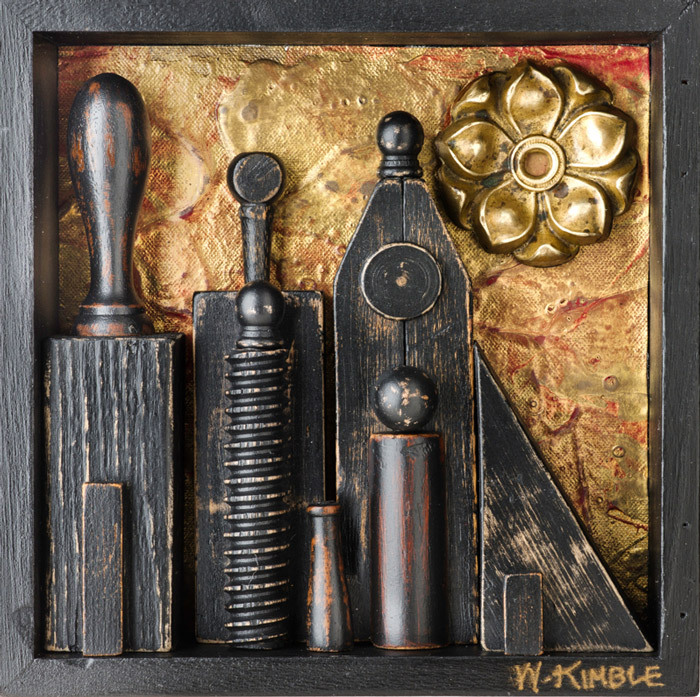 Beginning with his “Widows of War” and “Let the Sun Shine” series of paintings Warren Kimble has again embraced his constant artistic evolution, switching his attentions to more found object assemblages, combining his new abstract vision with a sense of his folk art foundations. The end result is a new direction in folk art that is 100% Warren Kimble with new pieces moving more towards contemporary modern art all the while following new black and white trends in home décor. “Wall of Love” is an interactive exhibit that invites the public to post an example of love, solidarity, kindness and community. 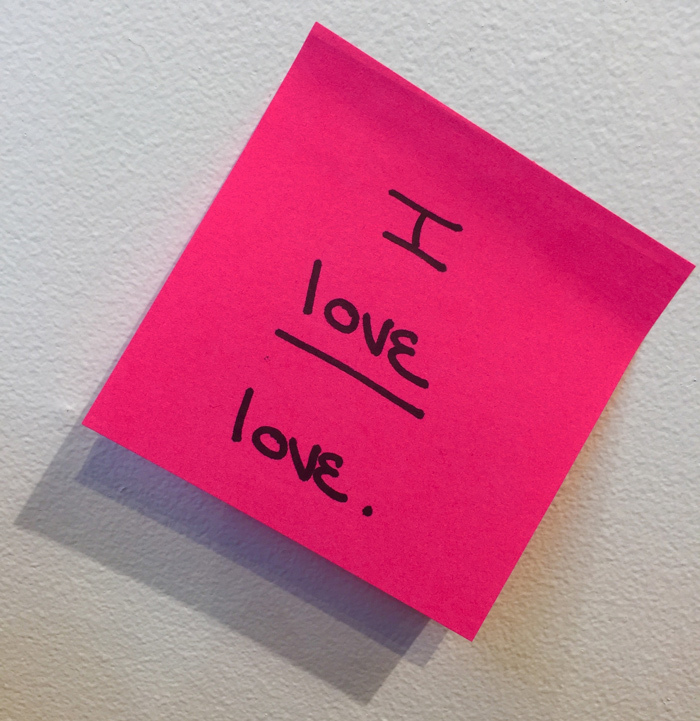 Sticky notes, markers and a warm, positive environment to express your love are provided. In addition to the above times and dates dug Nap will be joining Frog Hollow Friday nights throughout the month of December to meet visitors to the gallery and sign his prints. Opening reception during First Friday Art. Marilyn Ruseckas says about her work: “My artwork in pastel is probably best categorized as Realism, some pieces more modern than traditional. Though I like to render the landscape, I am interested in freedom of gesture within the confines of a charted composition, allowing for the piece to be moody and dream-like or as bold with color choices as possible. But early in my career, before I started in pastel, working in photography as well as different mediums of printmaking and drawing with charcoal were fundamental for learning the importance of understanding black, white, and the tonal scale of gray which has become the basis for all of my work in color. The rich darks and bright lights as well as the gradation of neutrals are calculated before any color is applied. Working out unique color combinations and composition is what keeps me inspired. 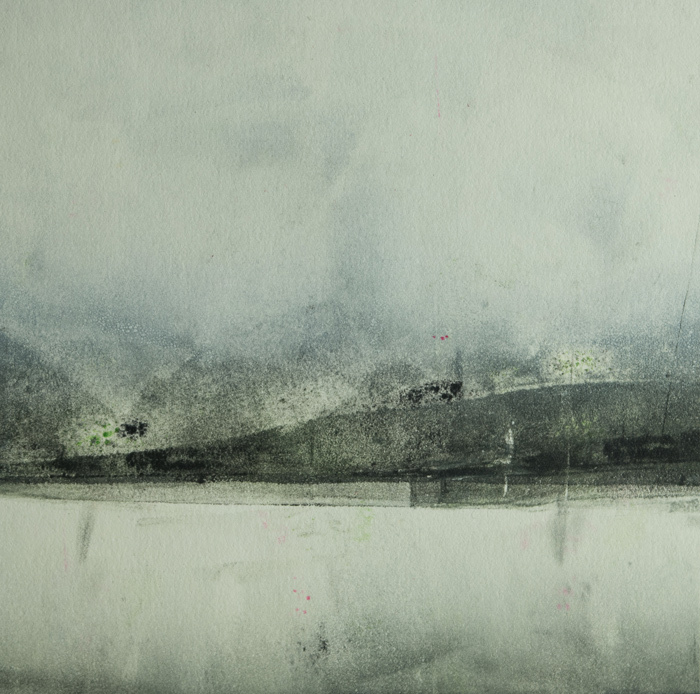 Designs oscillate between realism and abstraction with landscape primarily as a reference. It’s hard to pinpoint exactly where good ideas come from, but I know that if I spend time outdoors moving through the landscape, watching cloud formations in the sky, and being a part of life’s natural perspective, I will never run out of material. 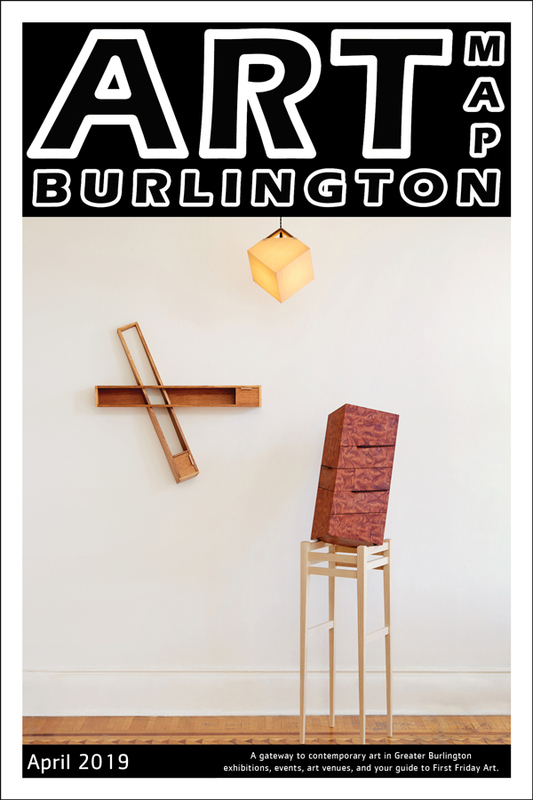 Frog Hollow’s August exhibit includes work by established “makers” who are connected to or work in Burlington’s Generator space. The work highlights the diversity of work being produced in this exciting facility. Opening reception during July’s First Friday Art. Frog Hollow has partnered with the non-profit Waterwheel to raise funds in support of Frog Hollow’s newly launched Artisan Grant program (visit Frog Hollow’s website for more information). Waterwheel has generously donated work by James Belizia to be sold during the exhibit with 100% of profits being used for this new grant program. 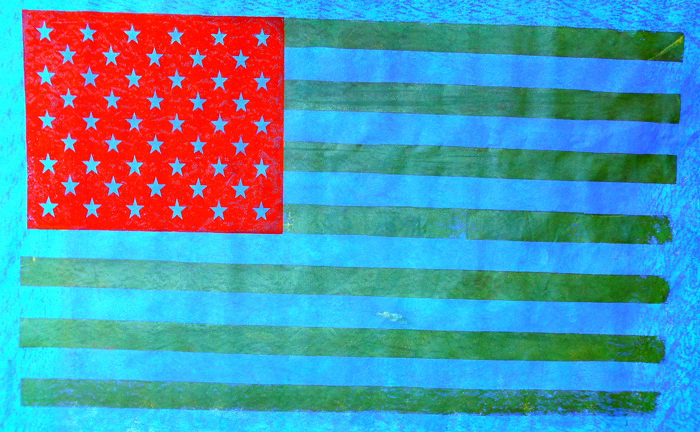 In 2011, artist James Belizia created an eclectic collection of nearly 200 hand-printed canvas flags during the three-day music festival Super Ball IX (July 1-3, 2011) at the Watkins Glen International Speedway. The seminal band, Phish, formed in the early 1980s in Burlington, hosted its ninth festival complete with camping, food and craft vendors, a 5K race on the famed Watkins Glen speedway track, a wiffle ball tournament and seven full sets of music by the band (plus one secret, experimental set). All of this took place among evolving art installations that shaped the festival grounds for the weekend. The Flags are the only artworks from Super Ball IX available to the public for purchase. In addition to the Flags by James Belizia several limited-edition 5 color screen prints by acclaimed contemporary visual artist David Welker will be made available for purchase, each signed by members of Phish. One of the Welker prints will be made available in a custom frame by Frog Hollow artist David Hurwitz. Opening reception during June’s First Friday Art. 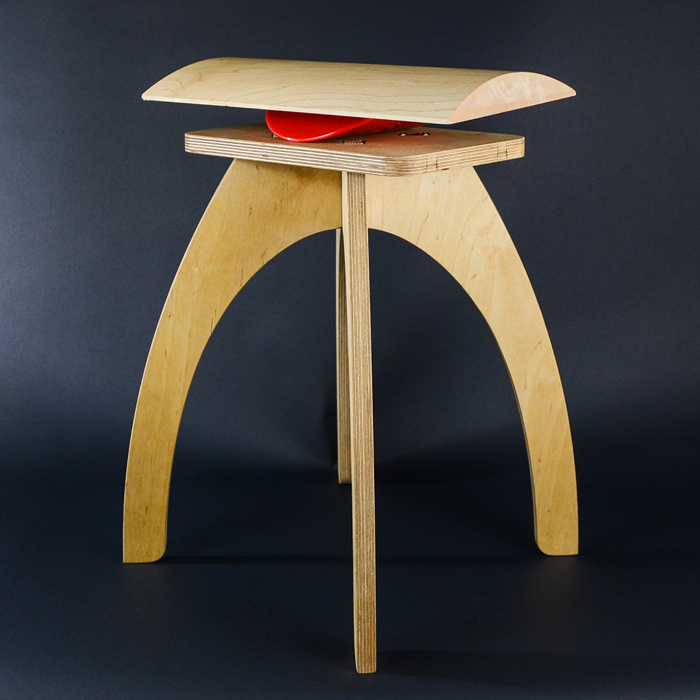 “Material Matters” is an exhibition of current work by members of the Vermont chapter of the International Surface Design Association. Surface design is any process that gives structure, pattern or color to fiber and mixed materials, such as felting, spinning, paper making, weaving, knotting, netting, looping, stitching, cutting, piecing, dyeing, painting, printing and embellishing. 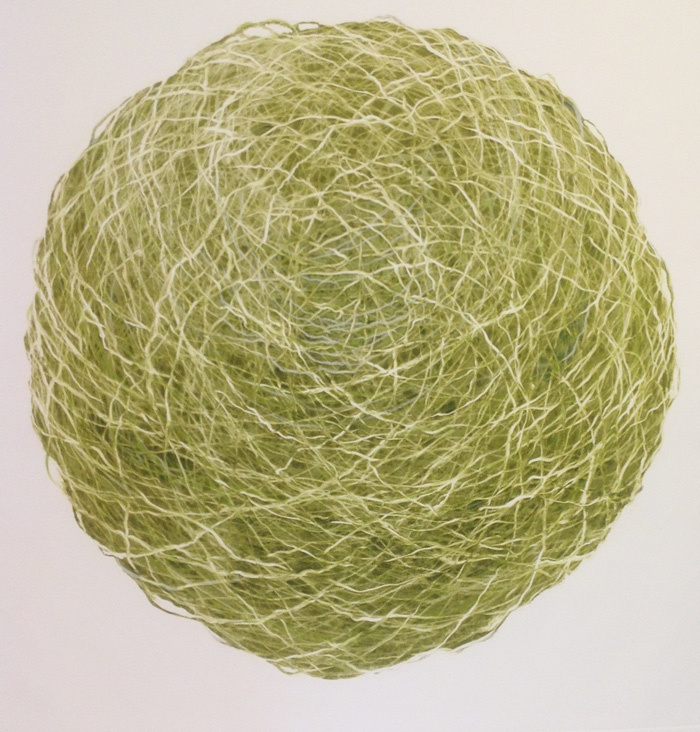 Fiber artists are doing some of the most innovative work in the art world today, fearlessly exploring a variety of surface design techniques and fiber materials. 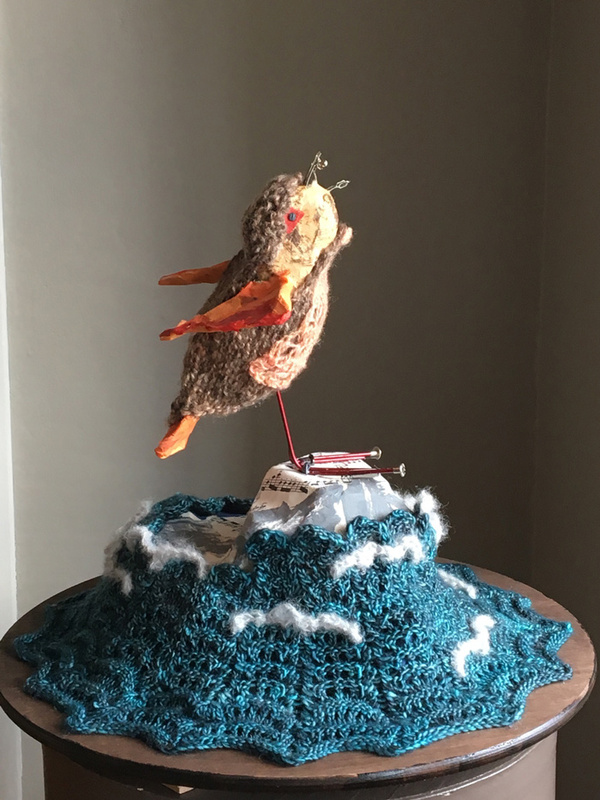 Pieces in this show include both 2 and 3 dimensional forms ranging from a knitted knotweed sculpture, woven scarves, quilted and woven wall art, to mounted framed pieces featuring fiber and acrylic paint. Artists exhibiting include: Jackie Abrams, Judy Dales, Rosalind Daniels, Elizabeth Fram, Marilyn Gillis, Karen Henderson, Eve Jacobs-Carnahan, Ruby Leslie, Marya Lowe, Almuth Palinkas, Leslie Roth, Dianne Shullenberger, Ellen Spring, Sharon Webster and Betsy Wing. For a complete listing of work and artists bios from participants in the exhibit please view our digital catalogue of the show HERE. Opening reception during May’s First Friday Art. “The Art of Fly Fishing” presents an array of fly fishing themed artwork, fly fishing flies tied by local veterans and various fly fishing paraphernalia. The exhibition brings attention to the work of the Green Mountain Chapter of Project Healing Waters. 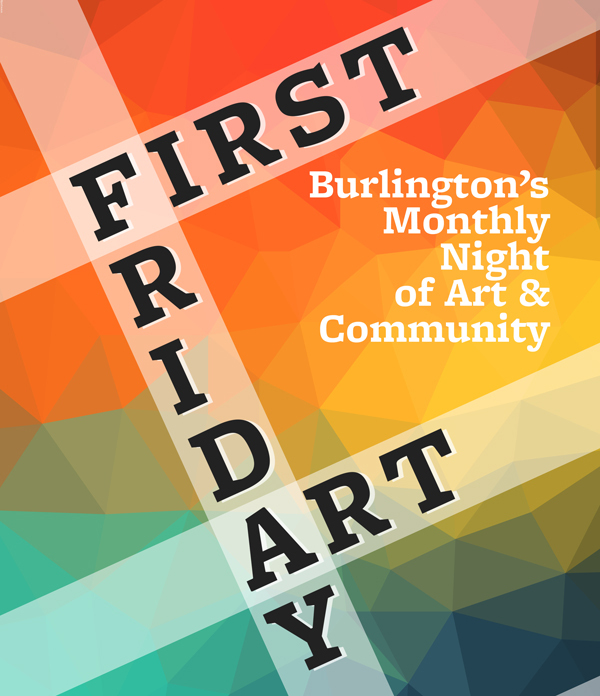 First Friday Art features tastings provided by Mad River Distillers as well as live fly tying demonstrations and music in the gallery. Vermont artists represented in the exhibit are watercolorists Kevin Ruelle, Samantha Aronson (image above) and Nick Mayers, wood worker Rachel Laundon, photographer Peter Miller, and metal worker Payne Junker. 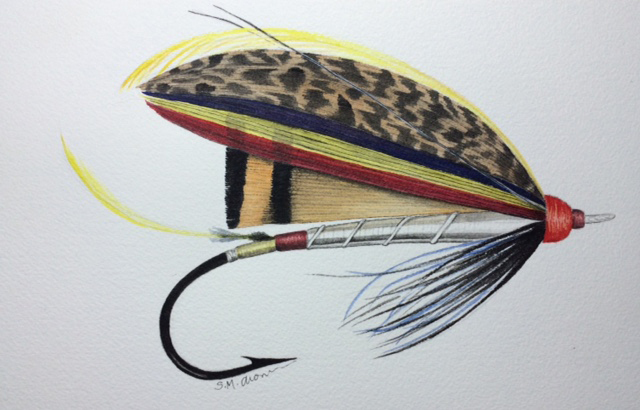 As part of the fundraising effort, there will be a silent auction featuring artwork donated by a selection of artists, as well as fly fishing gear and fly tying tools, with 100% of auction proceeds going to the Vermont chapter of Project Healing Waters. The auction will be open from Monday, May 2 through Thursday, May 26, when there will be an auction closing event with 14th Star Brewery, which will be offering samples and full pours of their Valor Ale in a specially designed can–released earlier in May–also in support of Project Healing Waters, with 100% of sales of this can going towards PHWFF. Opening reception during April’s First Friday Art. 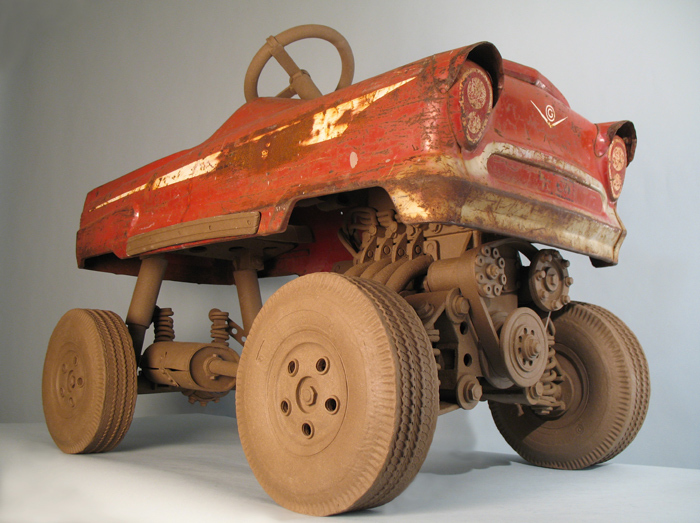 “Mud Transfusion” exemplifies the transition of clay from a pile of mud into a unique piece of art and how it can manifest itself in many forms both functional and non-functional. It celebrates the diversity of clay and its endless possibilities with a focus on clay being used as wall decoration in 2-or 3-dimensional form. This use of the material creates an invitation to explore the process of how a piece makes it from river bed to gallery. The UVM Pottery Coop is a community-oriented pottery studio for both UVM students and faculty and is open to anyone who is interested in exploring clay. The teachers at the Pottery Co-op have exemplary skill levels and wide-ranging clay experience. There’s a class for every level, from beginners to more advanced students. Their welcoming and productive environment is one of the hidden gems in their incredibly creative community. The artists in this exhibit include: Sherry Corbin, Chris Behr, Bech Evans, Raquel Sobel, Rebbecca D’Agostine, Geoff Gordon, Becky Mulheron, Joan Watson, Meredith Mann, Katy Pensak, Jess Louisos (image above), Gary Godbersen, Theora Ward, Alex Hoffman, Lilly Calabrese, Erika Cummings, Tamara Cameron, Rebecca Moyer, and Tiny Sikkes. Presenting the first episode in a proposed film series, “Frog Hollow’s Green Mountain Artisans”, which documents Vermont craftspeople. The first episode focuses on Frog Hollow members: Bowl Turner Alan Stirt; Sculptor Kate Pond; Glassblower Michael Egan; and Jewelry Artist Ivy Long. The half-hour profile piece was made by South Burlington filmmaker Natalie Stultz. Film premiere and reception: Saturday, March 5, 5-8PM. Copyright © 2019 Art Map Burlington. All Rights Reserved. The Magazine Basic Theme by bavotasan.com.